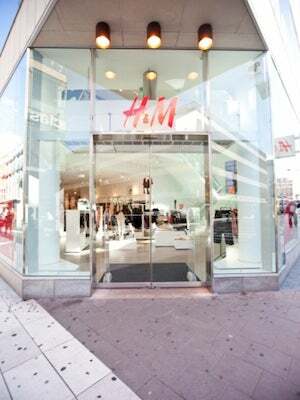 H&M Releases A Huge Heap Of Supply-Chain Info, But Is It Enough? It's always nice to know that you aren't sending money down some horrid fast-fashion hellhole, but instead, supporting larger companies that hope to influence market trends with — gasp — ethical decisions. Both Zara and H&M have received global seals of approval from external watchdog groups, but H&M took its commitment to transparency one step further by releasing the name and location of all of its factories, making it one of the first fashion companies to do so. Aside from this move toward more openness, H&M once again claims the title of the largest user of organic cotton and has applied measures to cut down on using 450 million liters of water. Another point the report sought to bring up was its "(rising) support" of increased wages for factory workers in Bangladesh — a country which has been at the center of the factory wages debate. We chatted with Jessica Henry at Not For Sale, an organization that aims to hold fashion and retailers accountable for their labor and transparency practices, about what these new measures actually mean. She explains, "This is the first time H&M has released its supplier list, and it sets an excellent example for other major apparel brands. The report will improve its Not For Sale Free2Work grade, which is currently a 'B'. We will be recalculating it over the next few weeks." Henry seemed a little more wary of the initiative to raise wages, saying she is happy but wants "...to see the concrete results of that." We feel particularly proud of the involvement women have in H&M's workplace, with 74% of managers and 50% of the board members being ladies. Which, hey, probably contributes to the Swedish retailer's incredible success.